How healthy are the meals you have been eating lately? What about the snacks? We all need to eat, and many of us seek out things that are convenient and that we are accustomed to. It is possible to swap out a comfort food with a healthier option. You can swap out a regular potato for a sweet potato in a multitude of recipes that call for potatoes. A medium sweet potato is only about 100 calories when baked in the skin. They also have complex carbohydrates, which are released at a steady pace for a constant source of vitality. 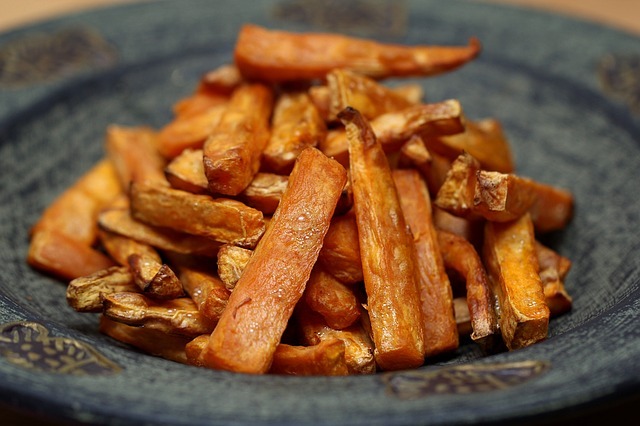 Make a batch of sweet potato fries. Eat a loaded sweet potato instead of a loaded regular potato. Thanksgiving dinner is the perfect time to serve a sweet potato casserole (instead of mashed potatoes). Love pasta but don’t like the amount of carbs in it? Swap out your spaghetti noodles for some spaghetti squash. One cup of spaghetti pasta has around 200 calories. A cup of spaghetti squash has only around 30 calories. Spaghetti squash is unique because it can be shredded into long, thin, strands that look a lot like regular spaghetti noodles. Cut the spaghetti squash in half lengthwise. Roast it at 400 degrees. Cook for about 30 to 45 minutes or until tender. Shred the warm spaghetti squash into noodles, and serve with your favorite pasta sauce. Many of us start our days with a cup of coffee. You can get your daily dose of caffeine, for less calories, if you drink black coffee. It is super easy to make for yourself at home. A simple black coffee is usually the least expensive drink on the menu at a typical coffee shop. You can do a lot with a cauliflower. Put the cauliflower florets into a food processor and turn them into a nice substitute for rice. The texture is similar, but the cauliflower offers a lighter taste and less calories than real rice would. Got a picky eater at home that hates vegetables? Buy an orange cauliflower, break the florets into small pieces, and steam them. You can mix those veggies into a bowl of macaroni and cheese without making it obvious that there are vegetables in the dish. Doing so also lets you swap out some of pasta with vegetables. Need a quick snack? Those that seek out crunchy snacks can swap out their potato chips or pretzels with cut vegetables. Carrots and cucumber are crunchy. They are fresh, healthy, and lower in calories than potato chips. PepsiCo is doing something completely new with Gatorade. They have introduced organic Gatorade. It appears that the motivation for this change is based on what people are asking for, as well as a means for PepsiCo to attract healthy-minded customers. 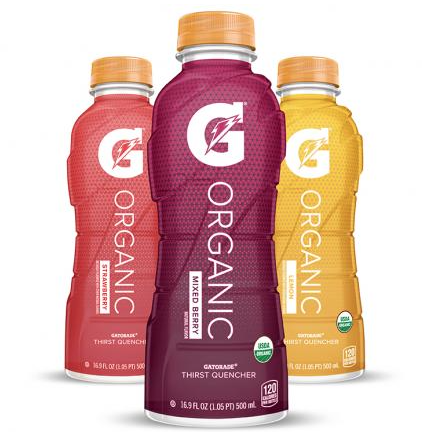 The new organic Gatorade (which is also being called G Organic) is available in three flavors: Lemon, Strawberry, and Mixed Berry. The bottles look slightly different from the regular type of Gatorade, but still have the big G logo on them. AdAge reports that you can find organic Gatorade in Kroger supermarkets. Later, PepsiCo will rollout the organic Gatorade to select grocery, natural, and convenience stores. If you don’t find it at your local grocery store, wait a bit. It might show up there later. The rollout might include single-serve bottles of the new drink. The reason why PepsiCo is making this change is because they have heard that there is an interest and desire among athletes to go organic. This makes a certain amount of sense, considering that many athletes work with nutritionists. Another reason for the change is to attract consumers who have already been seeking out organic products. It will be interesting to see if PepsiCo can manage to maintain a balance between the two groups. Will those who love the original Gatorade be turned off by the company’s choice to make a G Organic variety? Will the people who like to buy organic products want to try G Organic? Or will they stick to things like coconut water? The Food and Drug Administration (FDA) has rules that determine whether or not a product can be labeled as organic. Regulations prohibit organically processed foods from containing artificial preservatives, colors, or flavors and require that their ingredients are organic (with some minor exceptions). AdAge reports that PepsiCo’s organic Gatorade has been certified organic by the U.S. Department of Agriculture. But, that doesn’t necessarily mean that the product is as healthy as a fruit or vegetable that has been labeled organic. NPR reported that organic Gatorade does contain sugar. They believe that organic Gatorade contains organic cane sugar (instead of the sucralose that the regular Gatorade contains). One thing consumers can learn from this is that a product that has been labeled organic is not always going to be the healthiest choice. A organic product is allowed to contain organic cane sugar. Check the amount of sugar in an organic product before you purchase it. You might have noticed the Hampton Creek brand of products at your favorite grocery store. They are a relatively new company that has been slowly creating healthy products. People who strive to eat healthy will prefer the list of ingredients on Hampton Creek’s products over those of the big name brands. The Hampton Creek company got started because they deeply believe that eating well should be easy. They also believe that the right thing, for people’s bodies, and for the world, should be affordable. The best way to encourage people to make healthy food choices is to give them food that is both healthy and delicious. Hampton Creek’s Just Mayo comes in four different varieties: Original, Chipotle, Garlic, and Sriracha. None of them contain eggs. That’s great for people who have an allergy to eggs and for people who are vegan. All of the products in the Just Mayo line are verified GMO-free by the Non GMO Project. Instead of eggs, Hampton Creek uses a protein that is derived from Canadian yellow peas. It turns out that the yellow pea proteins were a great emulsifier. Hampton Creek wants to change the way companies make food. Their plan is to create a range of high-tech, plant-based products that use fewer resources from farm to factory to table. They want to make those products cost less and be healthier and tastier than traditional products. They also make use of underutilized low-impact crops. Hampton Creek’s Just Cookie Dough product contains a grain called sorghum. The company says that sorghum is their “not-so-secret secret ingredient”. 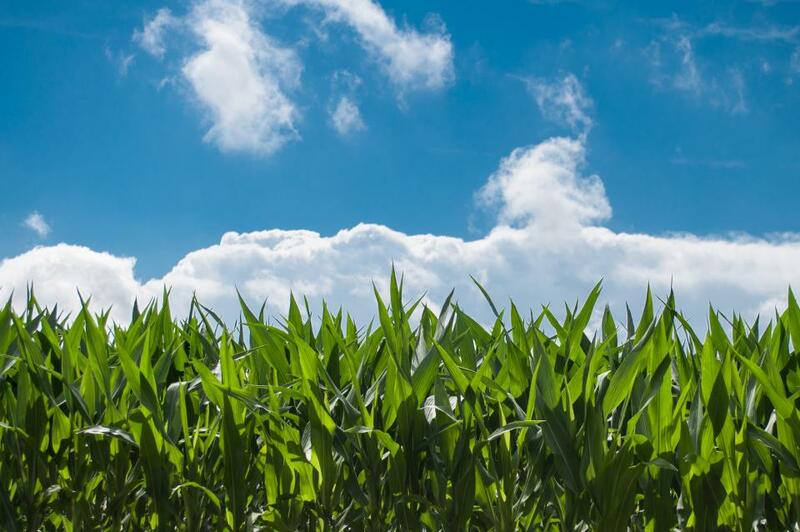 It is a grain that can grow as tall as corn, but with only a fraction of the water that corn requires. Grain sorghum is one of the four most important cereal grains used for human consumption. It comes in a variety of types, and its uses range from straw to syrup. Sorghum is higher in protein and lower in fat than corn. Some types of grain sorghums are: kafir, kafir corn, durra, milo, maize, Egyptian corn, African millet, Black Indian millet, and pearl millet. Sorghum and sorghum flour are both on Celiac.com’s safe ingredients list. That being said, Hampton Creek’s Just Cookie Dough, and all of their Just Cookies products, contain wheat. In other words, they are not gluten free. Their cookie products do not contain eggs, which could mean they are a safe option for people who are allergic to eggs. The lack of eggs could be why Hampton Creek says that you can safely eat their Just Cookie Dough raw. President Obama has signed S. 764, a bill that (among other things) includes a national bioengineered food disclosure standard. What does this mean for consumers? It’s still being worked out. The law requires the Secretary of Agriculture to come up with a national labeling standard that would be placed on packages of food that contain GMOs. The time frame for that is within the next two years. In other words, the bill has been signed into law, but the law isn’t ready to immediately be enforced. When everything is ready, the entire United States will have the exact same GMO labeling law in place. It overturns States GMO labeling laws. Vermont already had a GMO labeling law in place. It required foods that contained GMOs to be have a label on the package that said “produced with genetic engineering”. The law signed by President Obama overturns that law (and other state GMO labeling laws). Opponents of the bill prefer stricter GMO labeling laws than what is included in the new federal law. There are three options for labeling. The new law gives food manufacturers three options that they can use to label packages that contain GMOs. One option is to carry a text label (similar to the Vermont law). Another option is to put a symbol on the package that indicates that the food inside includes GMOs. The third option is to put a QR code on the label. People who have smartphones can scan the electronic code that is on a package to find out whether the food contains GMOs. It would lead to a website that shows the information. Opponents of the law point out that not everyone has a smartphone, and this could leave many consumers unable to read the GMO label. Foods can still be labeled organic. The wording of the bill states that food that is certified under the national organic program (which was established under the Organic Foods Production Act of 1990) can still be labeled organic. The organic label will be considered sufficient to make the claim that the organic food does not contain GMOs. This means that people who have concerns about GMOs have the potential to completely avoid them by purchasing organic foods. In order to meet the USDA organic regulations, farmers and processors must show they aren’t using GMOs and that they are protecting their products from contact with GMOs from farm to table. We have been taught that recycling is good for the planet. When everything works like it should, recyclables get sorted correctly and prepared for reuse. 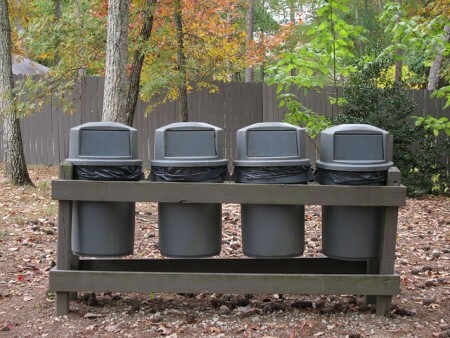 Unfortunately, not everyone knows how to recycle correctly. You might be recycling wrong. Most people understand that plastic bottles can be recycled. This doesn’t mean that all things made of plastic can go in the recycling bin. Some recycling facilities only take certain kinds of plastic. Take the time to learn what kinds of plastic can be accepted by your local recycling facility (or the recycling truck that comes to pick it up.) It matters! Do not assume that because some types of plastic bottles can be recycled that it means that all items made of all types of plastics are recyclable. Things like plastic shower curtains, plastic toys, plastic plants, and plastic shopping bags are not recyclable. Don’t put them into the recycling bin. Plastic bags can be recycled at your local grocery store. There is usually a designated plastic bag recycling container near the door of the store. It might be a repurposed trash can that has a sign on it letting people know that it is for plastic bags only. Many people put their soda cans into a plastic bag before recycling them. That’s fine if you are going to a sorting facility and intend to take all those cans out of the bag before turning them in. Don’t toss a plastic bag full of cans into the recycling bin. Your recycling facility might not be able to process the bag. The result could be that your bag of otherwise perfectly good recyclable cans will wind up in a landfill. Do you live in a place that asks residents to put all types of recyclables: cans, plastic bottles, and paper, into one recycling container? That system can work well if everyone follows the rules. Sadly, all it takes is for one person to throw garbage into that recycling container to spoil things. Those recyclables are now contaminated and cannot be processed by a recycling facility. Those that care deeply about the planet will make the effort to put even the smallest scraps of paper into the proper recycling bin. Unfortunately, doing so makes it harder for facilities to recycle that paper. The best way to recycle shredded or small bits of paper is to put it inside a paper bag, seal the bag shut, and write “shredded paper” on the front of the bag. Workers can easily grab the bag and sort it correctly. 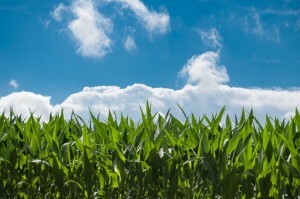 A new report that was done by the National Academies of Sciences, Engineering, and Medicine found that genetically engineered crops (also called genetically modified organisms or GMOs) are safe for humans and animals to eat. The report is called “Genetically Engineered Crops: Experiences and Prospects”. The report notes that the most commonly grown genetically engineered crops in 2015 were soybeans (83% of land in soybean production), cotton (75% of land in cotton production), maize (29% of land in maize production), and canola (24% of land in canola production). The 388-page report was begun two years ago. It was conducted by a committee of more than 50 scientists, researchers, and agricultural and industry experts that were convened by the National Academies of Sciences, Engineering, and Medicine. They reviewed more than 900 studies that involved data that covered the past 20 years since genetically modified crops were first introduced. The committee who worked on the report heard from presenters, and from public comments, that voiced concern about the safety of GMO crops. The committee also reviewed several peer-reviewed reports that concluded that there was no evidence of health risks from GMO crops. There is a lot of information in the report about how the committee tested and evaluated the comments and reports. One thing the committee did was compare the epidemiological data from the United States (which has been consuming GMO crops since the 1970s) and Canada (which has been consuming GMO crops since the mid-1990s). They also compared it to the epidemiological data from the UK and western Europe, where genetically engineered food is not widely available. The data did not support the hypothesis that genetically engineered foods caused increases in cancer. In addition, the data did not support the conclusions that GMO foods cause an increase in obesity, or in gastrointestinal illnesses, or in kidney disease, or in autism. In short, GMO crops are safe for humans to eat. There were some questions, however, about whether or not a genetically modified food could be an allergen. No animal model exists for predicting sensitization to food allergies. So, the scientists had to rely on multiple indirect methods for predicting whether an allergic response could be caused by a protein that is either intentionally added to a food by genetic engineering or if one appears in a food as an unintended effect of genetic engineering. In short, they noted that testing for allergenicity before commercialization of a GMO crop could miss allergens that the general public had not been previously exposed to. Post commercial allergen testing would be useful in ensuring that customers are not exposed to allergens. However, the committee recognized that such testing would be difficult to conduct. 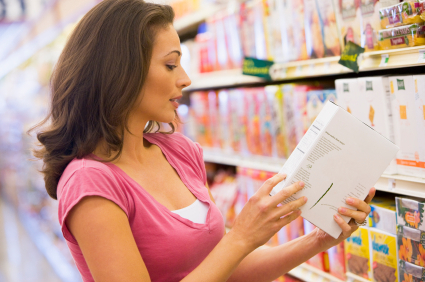 Over the years, it has become more and more common for people to read the nutrition label before they purchase packaged food. There are a variety of reasons for doing so: checking the calorie count, finding out how much sugar is in the product, or scanning the list for allergens. In May of 2016, the Food and Drug Administration modernized the Nutrition Facts label that will be on packaged foods. The purpose of the Nutrition Facts label is to help people make informed decisions about what they are eating and what is in the foods they are feeding to their families. The updated Nutrition Facts label is a modernized improvement of the version that was introduced over 20 years ago. * An update design to highlight “calories” and “servings”. * Requirements for serving sizes that more closely reflect the amounts of food that people currently eat. * Declaration of grams and a percent daily value (%DV) for “added sugars”. This is to help consumers know how much sugar has been added to the product. * “Dual column” labels to indicate both “per serving” and “per package” calorie and nutrition information for certain multi-serving food products that could be consumed in one sitting or multiple sittings. * Packages that are between one and two servings (like a 20 ounce soda) will be required to list the calories and other nutrients as one serving because people typically consume it in one sitting. * Updated daily values for nutrients like sodium, dietary fiber, and vitamin D, consistent with Institute of Medicine recommendations and the 2015-2020 Dietary Guidelines for Americans. * Declaration of Vitamin D and potassium that will include the actual gram amount in addition to the %DM. The %DM for calcium and iron will continue to be required, along with the actual gram amount. Vitamins A and C will no longer be required because deficiencies of these vitamins are rare. * The phrase “Calories from Fat” will be removed because research shows that the type of fat is more important than the amount. “Total Fat”, “Saturated Fat”, and “Trans Fat” will continue to be required. * An abbreviated footnote to better explain the %DV. Food manufacturers will be required to use the new Nutrition Facts label (as well as a new Supplement Facts label that will be used on dietary supplements) by July 26, 2018. Part of the reason for the changes is in response to new scientific information regarding nutrition. Some of that includes the links between diet and chronic diseases, obesity, and heart disease. The FDA is still in the process of determining what the word “natural” should mean when it appears on a food package. There are plenty of alternatives to dairy milk out there. People who have an allergy to milk can substitute non-dairy milk, such as soy, almond, or coconut. What if you, or a family member, are allergic to all of those? There is a potential solution. 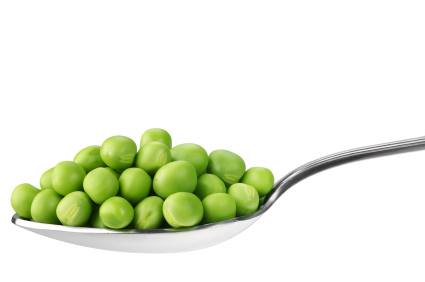 Ripple is a non-dairy milk that is made from peas. Ripple is a non-dairy milk that is high in protein, low in sugar, and loaded with nutrition. Ripple has 8 times the protein of almond milk and half the sugar of dairy milk. It is high in bioavailable calcium (and has 50% more of it than dairy milk does). It is also high in potassium and provides a good source of omega-3s. Ripple is lower in calories than dairy milk. The consistency of Ripple is described as having a “creamy, delicious texture”. It is not thin, or chalky like some almond or soy or cashew milk can be. The bottle that Ripple comes in is 100% post-consumer recycled plastic that is 100% recyclable. That means Ripple is a healthy choice for people and also good for the planet. Ripple is made from yellow peas. They are high in fiber, low in fat, cholesterol free, and a good source of protein. Making a non-dairy milk from peas has a substantially smaller carbon and water footprint than other kinds of non-dairy milk. Almonds are grown in the Central Valley of California – which is experiencing a drought. Peas are grown in the Midwest in an area that doesn’t need a lot of irrigation or fertilizer. According to Ripple, its non-dairy milk takes 96% less water to make than almond milk, 99% less water than dairy milk, and 76% less water than soy milk. The carbon footprint of Ripple is 93% smaller than dairy. Despite what you might think, Ripple does not taste like peas. The creators of Ripple removed the things from the peas that “gives it that off-flavor and color”. Ripple will retail at $4.99 for a 48 ounce bottle. Those of you who are interested in giving it a try should visit the Ripple website. Right now, you can get a coupon for Ripple if you put your name, email address, and zip code into the website. The coupon is redeemable at Whole Foods. Like many other non-dairy milks, Ripple is lactose-free, dairy-free, gluten-free, and vegan. It is also nut free. It may be a safe alternative for families that include a family member that has celiac disease, is gluten-intolerant, is lactose-intolerant, or who is allergic to nuts, coconut, soy or dairy. 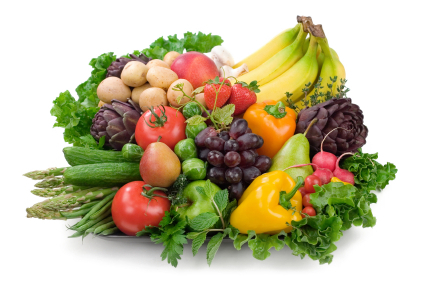 Fresh fruits and vegetables are an important part of a healthy diet. Some people feel a bit intimidated in the produce aisle because they aren’t sure how to figure out if a particular piece of produce is still good. Here are some quick and easy tips for buying the best fruits and vegetables. Root vegetables stay fresh longer when they have their green, leafy, tops still attached. Look for carrots, beets, and radishes that still have their stems attached to them. They will taste better than the ones that have had their tops removed. There is a growing trend called Root-To-Stalk cooking. It involves using as much of the edible parts of a fruit or vegetable as possible. 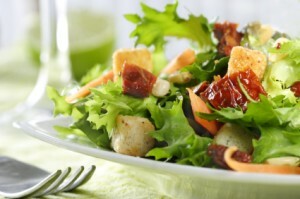 Vegetarian Times has some suggestions for how to use carrot greens in a salad. New potatoes (the kind with the red skin) should be easy to peel. You can use your nail to gently rub against the skin of a new potato that you are going to buy. A small amount of pressure should be all it takes to remove a little piece of potato skin. This tip won’t necessarily work as well on other kinds of potatoes. Look for potatoes that feel firm. The squishier ones might be rotted inside. You should probably avoid potatoes that have sprouted. If the sprouted potato is still firm, it is likely safe to eat. However, it is going to be difficult to peel and you will have to cut off all the sprouts. That may be more work than you want to do. Many people assume that the orange with the brightest color is the best one to buy. That’s not necessarily true. An orange that is light in color, or has a green area, might be just as good. It’s color is dulled because it was growing underneath a leaf and didn’t get as much sun as the other oranges. Look for an orange that feels heavier for its size that you expected it would be before you picked it up. In general, the heavier the orange, the more juice it contains. Give that orange a gentle squeeze. Good oranges should have a little bit of “give” to them. How soon are you going to eat those bananas? The answer to that question determines what color you should look for. The greener the banana, the longer it will last. So, choose a banana that has some freckles for breakfast tomorrow. Select some slightly green ones for later on in the week. Which States Eat the Healthiest at Work? Do you bring a healthy lunch with you to work, or do you visit the nearest fast food restaurant on your lunch break? Those who started off the year with the good intention of changing to a healthier diet may have stopped working toward that goal by now. A website that focuses on catering put together information that shows which states eat the healthiest at work. A company called ezCater took a look at its nationwide ordering data from 2015. It is the only nationwide marketplace for business catering. Based upon this, they were able to figure out which states ate the healthiest while at work. A color coded map appears on their website. The states that were colored the darkest green are the ones where people at the healthiest at work. The lighter the color green, the less healthy a state’s workers ate at work. At a glance, you can see how well, or how poorly, your state did. * Vermont and Wyoming each had the lowest percentage of healthy orders. It was also possible for them to figure out the healthiest eating cities. The top five were: Houston, San Francisco, Chicago, Cambridge, Massachusetts and New York City. The cities that ate the least healthiest at work were: Greensboro, North Carolina, Nashville, Louisville, Kentucky, and Raleigh. What does it mean to eat healthy? Health.gov has put together some Dietary Guidelines key recommendations. * It also includes limiting saturated fats and trans fats, added sugars, and sodium. They suggest a healthy eating pattern, rather than recommending a specific menu, for good reason. It allows individuals to have more than one way to achieve a healthy eating pattern. The pattern can be tailored to the individual’s socio-cultural and personal preferences.